I will have to admit, I haven’t had a Domino’s pizza since I was in college. Last night we were looking to get some dinner and my wife was checking out the Domino’s website. She was impressed with all of the different offerings that were now available ranging from pizza of course to sandwiches, pasta, wings, bread bowls, etc. We have both seen the new commercials in regards to them changing the recipe and basically starting over from scratch – thank you. That is one reason I haven’t had a Domino’s in such a very long time, I just wasn’t impressed with their pizza. The interesting thing about the new experience on the website was not only the pizza builder, but once you submit your order you can utilize their pizza tracker to watch the status of your order. My wife clicked on the link to check it out and was really amazed. We could both sit there and watch as our order moved through each stage of the process – order placed, prep, bake, quality check, and order has been received. The other neat thing was that below the tracker messages were being displayed so that we could see who was prepping our order, who was delivering it – along with when they left, and at the end (displayed in picture above) that ‘MMM, IT’S THERE – We hope you’re enjoying your meal!’. Very cool and it was neat to watch. We were amazed at how quickly the turnaround was and couldn’t believe the service. Not only was the real-time Domino’s Tracker tool impressive, but I will have to say I am now onboard with the new recipe – great decision to dump and start over. The new pizza formula was fantastic and so was the cheesy bread and cinna stix. I would definitely have to give Domino’s five out of five stars for not only the food, but also the experience. Very impressed and love the tracker feature. 6. Now simply repeat the process until everything is in the proper order that you want for reporting. Note: this is just for this PivotTable. There you go. 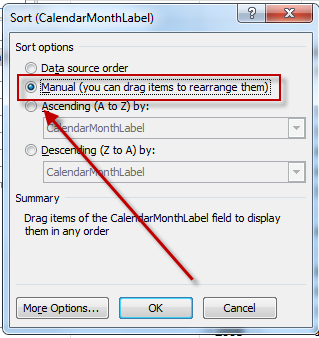 Just another option that you have for sorting items in your PowerPivot reports. 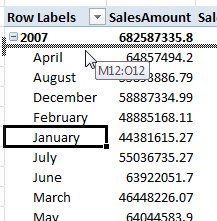 I was prompted at the top of the Field List in the Excel worksheet that ‘Relationship may be needed’ and I can click on the Create button to have PowerPivot automatically try and detection and create relationships between the tables that are currently being used in the PivotTable analysis. And when I go back into the Excel worksheet with the PivotTable I get a new message above the Field List stating ‘PowerPivot data was modified’ along with a button to Refresh. 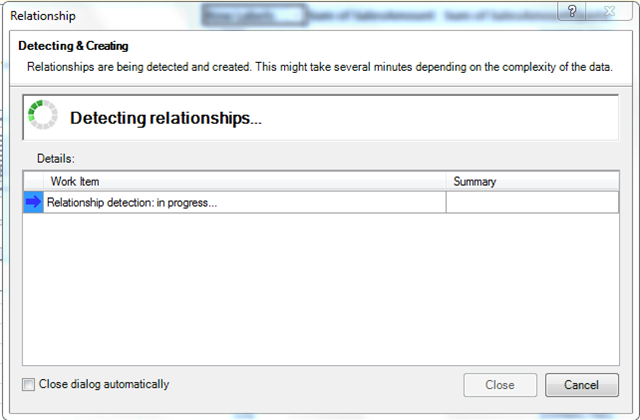 so as of now I would have to say that the auto relationship detection feature will not work with datetime fields. 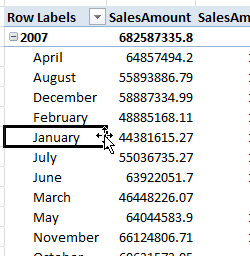 If the fact table would have imported into PowerPivot the first time without the storage errors then the relationship would have been created automatically because of the relationships and constraints that are defined in the underlying database. In my case though they were not and I was forced to create them manually. I am assuming that they went with the datetime data type to simulate more real world data that an end-user might receive in a data feed or source extraction. As long as the end-user knows how to create manual relationships this shouldn’t be a show stopping issue, just something to be aware of when working with different data types. 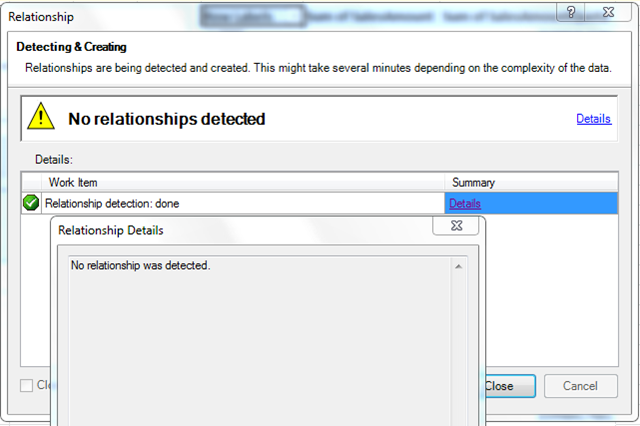 The other thing to note was that once I created the relationship manually in the Contoso example and later deleted it to try and perform some additional relationship testing, I was unable to get the relationship detection wizard to reappear. It would be nice if you could some how force this to appear instead of having it magically display above the Field List. It is just a wizard, so I would expect an option in the Detection portion of the PowerPivot Ribbon to be able to manually call this feature. Well, this is version 1, so maybe in the next release this data type issue will be resolved and a new option will be available for detection. If you think that this appears to be an issue and should be worked on please vote here (I posted as a suggestion instead of a bug, wasn’t sure what the proper classification was for this) – PowerPivot DateTime Relationship Detection. Thanks for voting! 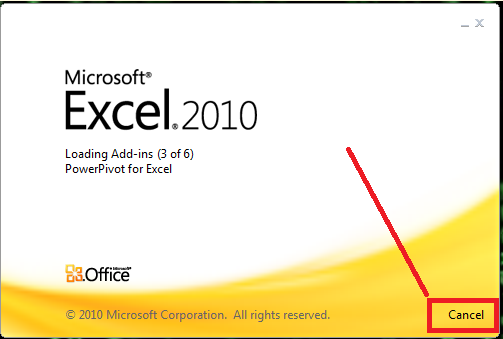 Where did my PowerPivot Excel 2010 tab go? 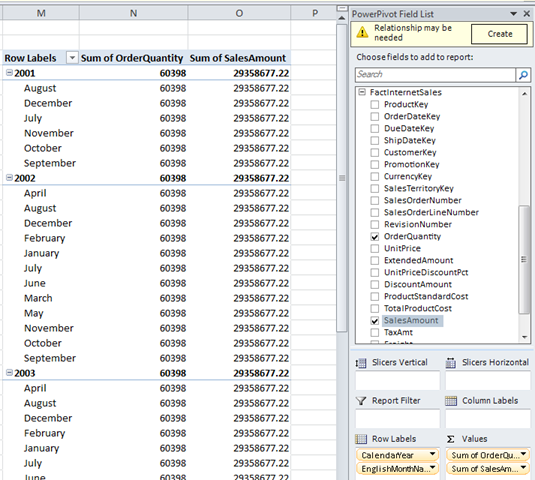 The other day I launched Excel 2010 to do a quick calculation and changed my mind. By changing my mind I didn’t mean that I didn’t want to perform the calculation anymore, just decided I didn’t want to wait for Excel 2010 to load. The reason that it takes a while now to load is the additional add-ins that I have installed which includes PowerPivot. As long as theses are activated they need to be loaded each time. Needless to say I am somewhat impatient and decided I would simply use another application to perform the calculation so I cancelled Excel during the load process. It is an option, not sure if it is the right one that you want to pick, but needless to say this is what I went with and this caused some other message boxes to be displayed. And at this point I simply pick the option to close or cancel because once again I am a bit rather impatient sometimes. So once that was done I open up my handy calculator and do the original calculation that I wanted. 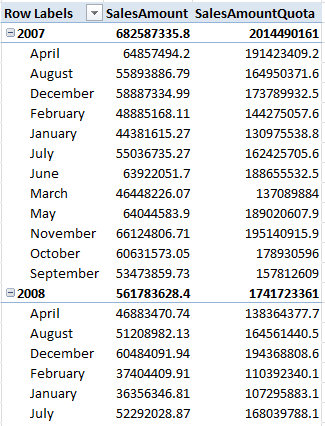 Later on I go ahead and open up Excel 2010 because I want to actually do some PowerPivot work. Well…where did my PowerPivot tab go? What did I do? Oh no, I lost my PowerPivot. Did I corrupt it? Do I need to re-install the add-in for Excel? Help! I decided to do a quick Bing search on the issue and I come across a posting by the one and only Dave Wickert, PowerPivotGeek, PowerPivot for Excel add-in is not coming up in Excel. This tells me that maybe I need to activate the COM Add-in. Well the only thing it doesn’t tell me is where to do that…minor detail. First I need to find where the add-ins are even displayed. 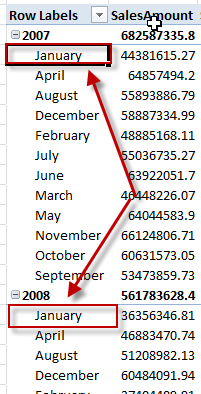 Now the PowerPivot tab is back in the Excel 2010 Ribbon and you are back in business. I still don’t like having to wait for the PowerPivot add-in to load each time because I am not actually using PowerPivot every single time when I open Excel and as I have stated, I can tend to be a tad on the impatient side sometimes. It would be nice to simply have a button that I could toggle to have this feature loaded on an as needed basis. Now I will tend to shy away from using Excel just because of the load time. I will look to leverage other applications like the calculator and the Internet more to handle the basic calculations that I used to use Excel 2007 for. I was baffled. 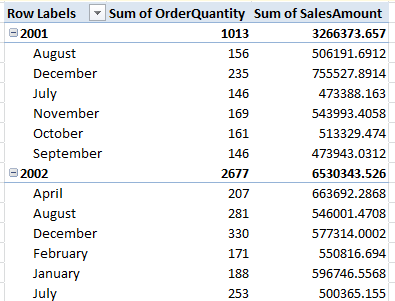 Initially I was able to load the required dimension tables, FactInventory (over 8MM rows), FactSales (over 3MM rows), but I couldn’t load the FactSalesQuota (over 7MM rows) data. 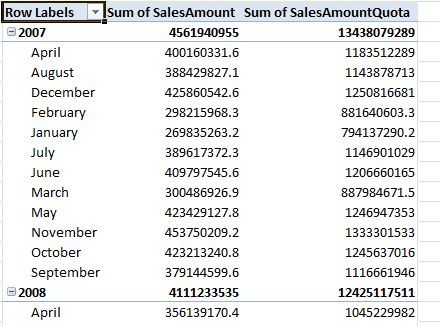 I found it odd that the sales quota data was double the sales fact table, but i believe this is because of the scenario dimension. Anyway, I was try to figure out what to do next. I should rewind a bit and state that I am run the 32-bit (x86) version of Excel 2010 and PowerPivot add-in. The reason for this was because it was the easiest upgrade path for me from Office 2007 since I didn’t want to uninstall the 32-bit version of Office 2007 in order to install the 64-bit version of Office 2010. I should also mention that when I initially loaded all of my fact tables that were required for the first tutorial I had removed the ETLLoadID, LoadDate, and UpdateDate fields since these would not be needed for analysis and didn’t want them to consume memory and space. So now that I was stuck in a rock and a hard place because of my 32-bit limitation I reviewed the fact table to see if I could possibly remove some unneeded data that was possibly outside the related fact sales information, but it was the same range of dates. 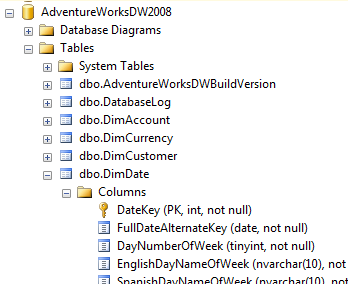 Then I check the columns in the table and realized that there was an identity field setup on the table. 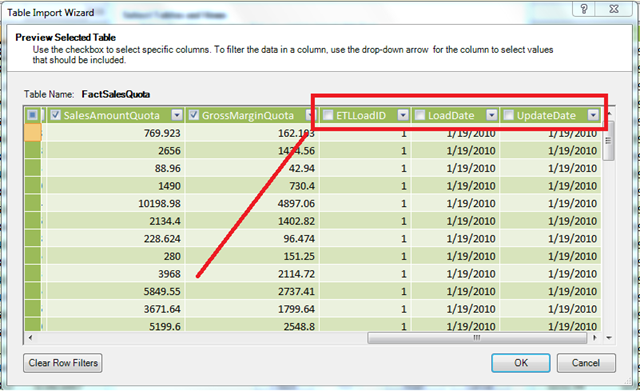 Well I don’t need this column for analysis or relationships, so I went ahead and removed this column as well during the import process to load the data into PowerPivot. Plus this column is unique per record, so no compression would be performed during import (I would recommend removing the other fact table identity columns as well). And this time…success! 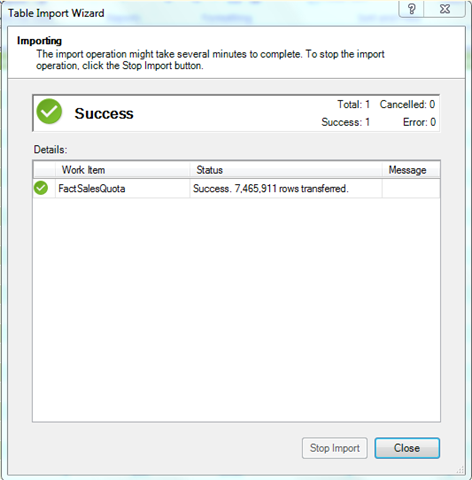 I was able to import an additional 7.5MM rows of data into PowerPivot. After this import my Excel file was hovering around 700MB of RAM consumption. I have already tweeted about it and notified people, just thought I would also do a quick post about it as well. If you didn’t get a chance to attend the Microsoft North America TechEd or Business Intelligence 2010 Conferences this year you are in luck. The majority of the content was recorded and has been made available, and believe it or not, it is all Free! Yes, I said it…Free! I was completely surprise myself. The Keynotes are typically always made available to everyone, but in this case just about every session has been posted. Not only can you watch it online from the comfort of your favorite lazy boy or coffee shop, but you can also download the videos in three different formats – wmv, wmv high, or mp4 – and also the PowerPoint presentations. You can also switch the view between thumbnails and list along with filtering the content from the menus at the top of the screen, so you can quickly filter and see all of the Business Intelligence sessions (including the keynote on day 2 where I am mentioned…5 Seconds of Fame at Microsoft BI Conference). I went ahead and downloaded all of the content from the Business Intelligence sessions, wmv high and slides, and it came out to be 11.1GB of material. So what are you waiting for, head on over and check it out – Microsoft TechEd Online and if you just want to take a look at the BI content then here is the link Business Intelligence – All Content. This past year I got an opportunity to finally take the great Informatica product for a test drive. I guess it wasn’t really a test drive since this was the ETL tool that was being used for the project, but it was my first time using the product (other than a brief hands-on with it during a vendor selection process when I worked at the casino). As far as I know, this product hasn’t really changed since I previously saw it, so I was a bit surprised, especially with the rave reviews and with it being a leader according to Gartner – Magic Quadrant for Data Integration Tools November 2009. The version of the product that I used was PowerCenter 8.6 (with a hotfix that provides the Mapping Analyst for Excel feature) and I know there is a new version out now that was recently released, but that is not the version that we were using and almost certain that the client will not be upgrading to new version going forward (will most likely be moving to Integration Services). So let’s get back to my experience with the product. Just a warning, this by no means is an extensive critique or in-depth review of the entire product, just my usage of the product. In the past I used DataStage and DTS, but most recently I have been using SSIS for the past four years. Versioning – has to be enabled out of the gate, but once turned on you have check-in/check-out versioning capabilities with the product which is a must in any development environment. one thing to note that the file and context menu options were not always available when I wanted them, so the user experience was a bit unpleasant. Metadata repository – a huge plus I will have to admit. being able to search for items and access them for a central tool is very powerful and a nice feature – if you need this. Reusable components – for example, items like sources and targets were centralized and reusable throughout the environment, so if you imported a new table definition of an existing table this would be reflected in any mappings it was being referenced in. Mapping Analyst for Excel – another built-in feature once hotfix applied with Standard Edition that allows you to create source to target Excel files for mappings and this is bidirectional for creating mappings as well. Built-in mapping documentation – has to be configured on server along with security permissions, but Data Analyzer report gets created with tabular report output off all the components in a mapping, not extremely useful, but it is something – no visuals like with DataStage documenation generator, but you can get that with the Visio generator component. Traceability – you have the ability to select a column (port) in the mapping and trace it back or forward within the mapping to see where it was generated from or where it ends up in the mapping. Too clunky – not a good user experience or development environment. menu options too random or not where expected, seemed really buggy at times with context menus not being where I would expect. Not intuitive UI at all – even out of the gate when you open the Designer tool if you want to edit a mapping you first need to make sure you have opened the Mapping Designer Tool (can’t just double click on the mapping). Even to rename items this was buried at times and confusing – sometimes you could do this if you edited the item through context menu, other times you had to access from the file menu. 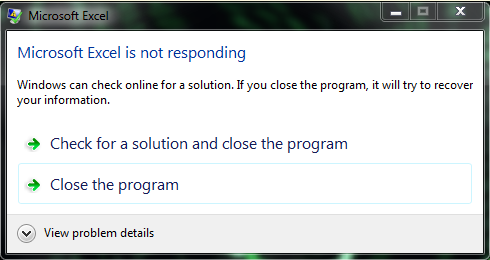 Even the warning and error icons used were confusing and didn’t provide tooltips – message displayed in separate windows. Too many steps – in order to create an ETL mapping you need to do at least the minimum steps using two separate components: create repository folder, create ODBC DSN (local workstation and eventually on the server for a data source), import a source definition (source analyzer designer), import a target definition (target designer), create a mapping (mapping designer – source, source qualifier (required to define source query and columns – called ports), transforms, router, update, destination) – now if you want to run the mapping you need to open up more components to create a session, then a workflow, and finally you can execute the workflow and monitor the progress. Wow, just wanted to do a simple dump from source to target and I just ate up half a day. Can’t add annotations – on the mapping design surface you don’t have the ability to simply add a textbox to provide any comments or documentation about the flow. this would all have to be buried in each item in the designer in the description area. 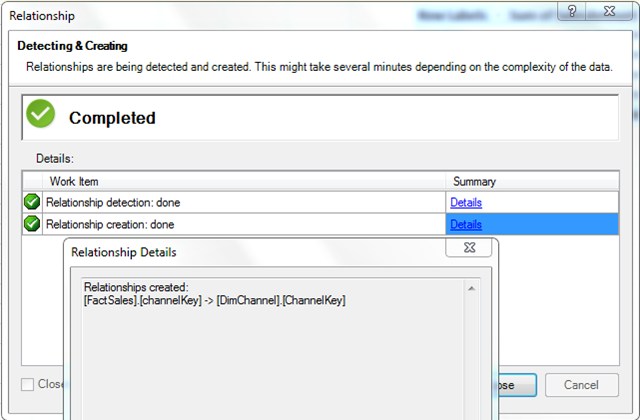 I find this feature in SSIS extremely useful and helpful for development and documentation purposes. Single repository folder support – can only be connected to a single repository folder at a time. Unable to work or view two different mappings located in separate repository folders. No ability to watch the data flow during runtime – you couldn’t watch the records and progress of a mapping while it was being execute. There is an ability to monitor stats, but you can’t see what is going on during each stage of the mapping visually like in DataStage or SSIS. In the Monitor stats window you can only see what is going on for the source and target, not each step of the mapping like for expressions, lookups, routers, etc. Extensibility / Flexibility – just wasn’t there for me. We had to implement some script files in order to create a looping mechanism to re-run a single mapping in a batch mode for historical load purposes – seemed like a basic operation that I could quickly setup in SSIS, but in Informatica I need to place two script files on the server and create two workflows to setup a looping process. With SSIS I can easily extend the functionality with custom components, script components (.NET code), and open source components (CodePlex.com or SQLIS.com). Trust but Verify – as one of my colleagues always told me (I think he knows who he is) you always need to double-check everything. If you modify a session in a workflow it might not be reflect in the task editor. I had this happen to me a few times. Make sure you modify in the task editor and it should reflect properly in the workflow. Viewing source and target data – now that I think about it I always went into an external tool to view my data. I don’t believe this functionality is available in the tool and if it is, I simply overlooked it or it wasn’t pointed out to me. You could validate your source qualifier queries, but that was about it. Hopping between the different products within PowerCenter seemed really clunky to me. I guess with SSIS at the most I might have two open with Business Intelligence Development Studio and SQL Server Management Studio, but with PowerCenter you would have at least three if not four if you need to access the Repository. I also had a really hard time with the flexibility of the tool. For the price of it I wanted to do some fairly basic items like adding annotations, dynamically setting source file names, looping, passing of variable values between mappings, watch mapping during process, add some custom code, etc. and it just wasn’t there for me or I just wasn’t aware of it. 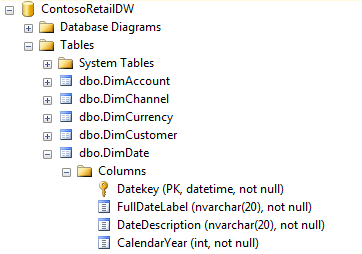 Granted I did not go through any formal training and learned the product basically on my own in two days, but I was really blown away how even the DataStage product that I used over four or five years ago was light years ahead of this product in my opinion and SSIS is a dream. Now with SSIS you don’t get a metadata repository or documentation, but with external add-ins (which most are free and open source – surprising that I bring up open source when mentioning Microsoft, but it is free and made available by the community). Even the Metadata Repository Toolkit was upgraded for SQL 2008 and there is just a ton of SSIS components available on CodePlex along with numerous blog postings, forums help online, video tutorials, virtual labs, and much more all free with tons of samples to get you started. The fact that you get the SQL Server database engine, Integrations Services, Reporting Services, and Analysis Services (along with Data Mining) in the SQL Server 2008 product for a fraction of the price of just Informatica PowerCenter just blows me away; I just don’t get the comparison or logic as to why people would spend that kind of money to implement the product. I can easily overlook some of the advantages of the Informatica product for the flexibility, extensibility, and additional features and functionality that I gain with SSIS any day of the week. Clearly I was confused as far as the Magic Quadrant goes and couldn’t understand why SSIS was not higher up and pushing behind Informatica and IBM. Day 2 of the conference and Donald Farmer presented during Ted Kummert’s keynote to talk about the Alpha Geek Challenge winners starting at about 1hr 6min into the keynote. 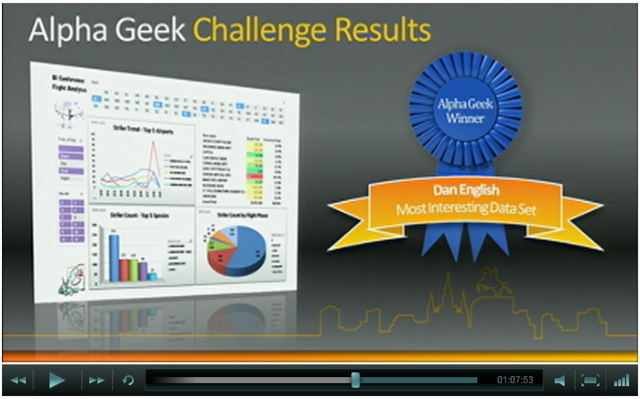 I got a brief mention as one of the finalist winners at about 1hr 7min 50sec into the video. Donald stated that my entry was based on the first BI Conference, but I actually put it together to do analysis based on information for this year’s conference displaying data for Minneapolis and New Orleans. They also stated that the first winner was Dan, but his name was actually Derek. You can check out the entire Day 2 keynote video here – http://www.msteched.com/2010/NorthAmerica/Keynote02. I hope everyone is enjoying the conference, I wish I could have been out there. Maybe I will see you out at the national PASS 2010 Summit in November. I submitted four sessions and will find out next month if any of them get accepted. The next Minnesota SQL Server User Group meeting is coming up in a couple of weeks on Tuesday, June 15. This month Lara Rubbelke will be presenting on the new features in SQL Server Reporting Services 2008 R2 – Report Builder 3.0, new visualizations (map report item, sparklines, data bars, indicators), new shared features (report parts and datasets), new data sources, new rendering enhancements, and more. If you have any questions related to SSRS that you would like to have discussed and covered in the discussion please send them in advance to support@mnssug.org. In order to RSVP for the event you will need to login to the national PASS site and click on the RSVP link. This month our sponsor for the event is Magenic again. Last month there was a mix-up with the food and beverage order the Papa John’s actually got sent to Davannis. What’s New in SQL Server 2008 R2 Reporting Services (presented by Lara Rubbelke) – Amp up your Reporting Services with the many great enhancements in SQL Server 2008 R2. Lara will take you on a tour of all that is new in R2 including collaboration features, new visualizations, rendering enhancements, and new data sources. After this session you will wonder why they call R2 an "interim" release! Also, last month we were finally able to get our first successful Live Meeting recording – PASSMN May 2010 Follow-up. And this week the Microsoft BI Conference and TechEd is going on down in New Orleans, so there should be a lot of content and information being posted this week through Twitter (#msbic and #teched – Twitter handles) and Blogs. This past month I presented at our local Minnesota SQL Server User Group. I was a tad bit exhausted from presenting at TechFuse 2010 and the SQL Server 2008 R2 launch event here in Minneapolis earlier in the month. It was tough when each presentation was on a different topic and I filled in for the launch event and had less than a week to absorb the content. I didn’t plan for all of these to occur one week after the other either, just kind of happened. Needless to say I was a little burnt out, so hopefully my content was good even though I probably sounded a bit less than enthused, which I apologize for. I also want to apologize for the food. The Papa Johns pizza was mistaken delivered to Davannis….I wish I could have been there to see that one. I have been holding out on posting the content because this was the first month we got an actual recording of the meeting. I have been working on converting it and making it available to view. My talk was on SSAS Design Best Practices and Incremental Processing. I highlighted some of the built-in items in BIDS along with BIDS Helper, did a few demos, and wrapped it up with a little PowerPivot comparison. PASSMN May 2010 – SSAS Design & Incremental Processing from Dan English on Vimeo. I think I misspoke a couple of times. 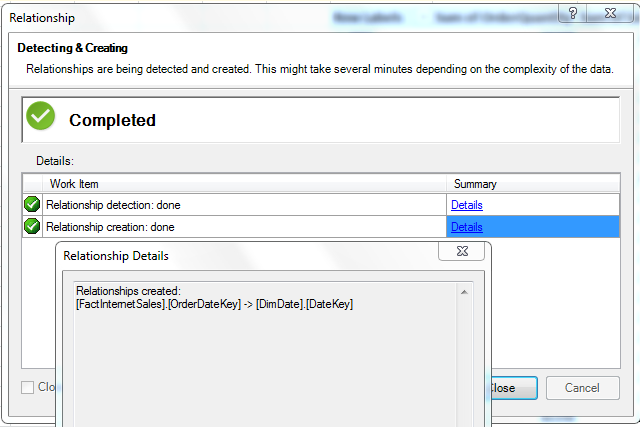 One time I stated that I don’t usually have the security information for SSAS ahead of time. That isn’t necessarily the case, usually it is a requirement up front. Sometimes though we add it in after the fact and it doesn’t take a lot of work to accommodate that either using SSAS roles. 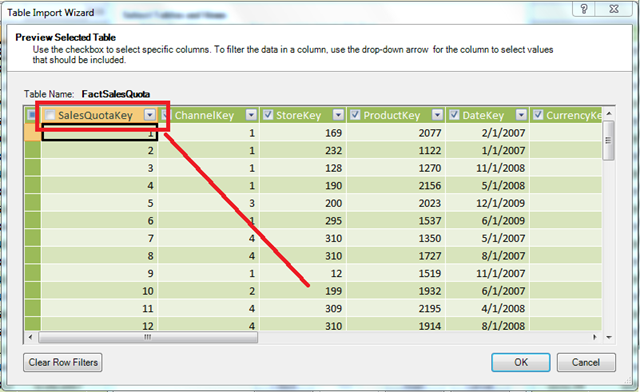 I believe I also mentioned that PowerPivot was row based compression and it is column. It was kind of funny, because the day after my presentation I ran into a blog posting about hierarchies in PowerPivot which I was talking about at the end of my presentation and did a posting in regards to it – Hierarchies in PowerPivot. You still don’t get the drill path like you would in SSAS, but you can get a similar look-and-feel. The other big thing was the incremental processing setup I had posted about previously – Analysis Services (SSAS) Processing and Aggregations. I had originally set that package up to handle yearly incremental processing and before I published it I changed it to monthly. Well needless to say I forgot to take into account the yearly partitions that might be included and these were getting included in the full processing group instead of being ignored. I have made the change and have created a new version of the packages and replaced the old ones. Feel free to leave me any comments if you have any questions or ask me questions at one of the PASSMN monthly meetings.